If you’re anything like me, you love to indulge in an alcoholic drink from time to time, especially if it’s been a long week or it’s time to get out and socialize. The problem is, alcoholic drinks can be loaded with calories and extremely fattening, especially mixed drinks and beer which contain tons of empty calories and junk carbs, all of which can be extremely detrimental to a diet. The good thing is that you don’t have to worry about giving up you’re favorite drinks because there are tons of low calorie alcoholic drinks that you can indulge in that are not only delicious but also won’t ruin your diet or leave you feeling completely guilty. Though these are some of the lowest calorie alcoholic drinks, drinking too many can have adverse effects on your diet. Just because these drinks are low in calories doesn’t mean that you can drink as many as you want without having to worry about messing up your diet; much like overeating healthy foods, drinking too many low calorie alcoholic drinks may leave you with dieter’s remorse and a nasty hangover! The problem with alcoholic mixed drinks is that ​many of their calories come from the thing that makes them so delicious, the mixes​! The good thing is that there are plenty of diet friendly mixes out there, making low calorie alcoholic mixed drinks possible. Just about any low calorie juices (pineapple, orange, apple) can be great substitutes for high calorie drink mixes. This list doesn’t even ​scratch the surface. There are plenty of other low calorie alcoholic mixed drinks out there, just be creative and start mixing your favorite drinks! Whether you enjoy a sparkling glass of champagne or a relaxing glass of wine, you’ll be glad to know that both of these are low calorie alcoholic drinks. Though wine doesn’t typically contain a nutritional list, there are certain types of wine that contain fewer calories than the other. As you can see, each glass of wine and champagne contains no more than 100 calories per serving. As you may or may not know, beer is one of the worst forms of alcohol that you can consume because of its high calorie and carbohydrate content. You’ll find that consuming beer on a regular basis will kill your diet quicker than you realize! If you’re a beer lover and must have your beer, you’ll be glad to know that there are a few beers that can be considered as low calorie alcoholic drinks! One of the most important parts of a successful diet is being able to maintain and stick to portion sizes. 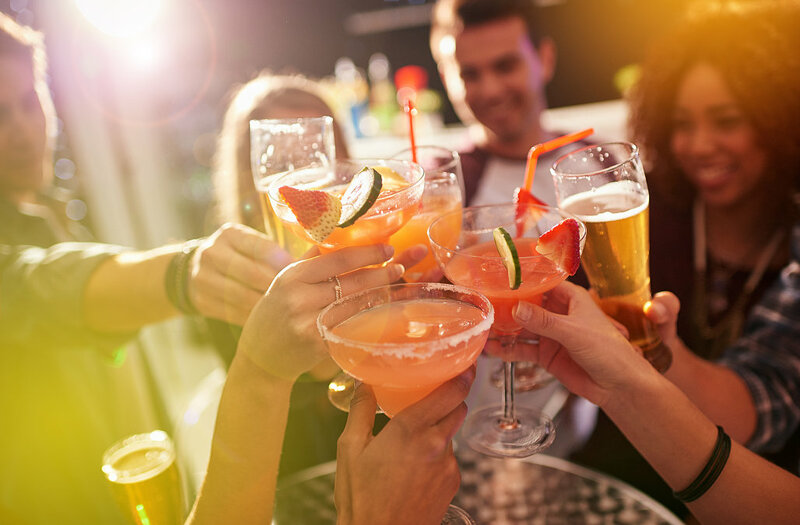 While it’s okay to go out and enjoy a drink with your pals or sit back at home and enjoy a relaxing drink, you should always set a drink limit and stick to it. It’s incredibly important to portion your alcoholic drink intake; even though you may be drinking low calorie alcoholic drinks, they do still contain alcohol which means their calories add up and can add up quick.